Is there a singular solution? Industry experts discuss the various nuances involved in calculating “extra” medical records. Most health care facilities have long recognized that their master patient indexes (MPIs) have issues involving data quality, particularly those related to duplicate records. An MPI duplication rate is a number laden with significance. For example, a high rate means a facility is likely to have problems with missing clinical information, duplicate tests and treatments, and billing and accounts receivables delays as well as an increased risk of medical errors. According to AHIMA, the average duplication rate in a hospital setting is approximately 10%. Ideally, the best practice duplication rate, depending on the setting, should be less than 5%. Which leads to the questions: How is that rate calculated, and what does that number represent? According to Lou Ann Wiedemann, MS, RHIA, FAHIMA, CDIP, CPEHR, director of HIM practice excellence at AHIMA, the association’s guidelines for computing an actual duplicate record rate in a single database involves dividing the total number of patient records in the MPI database into the total number of individual duplicate patient records multiplied by 100. The total number of individual duplicate records is the amount of the extra records as distinct from the original records. For example, if 50 patients each had two records, the number of duplicate records would be 50. However, Robert Lynch, MBA, president of EvriChart, a medical records storage and management company, believes that most organizations and information management vendors don’t necessarily use the same method to determine duplicate records. 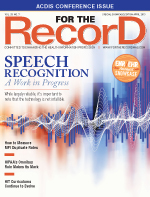 Victoria Wheatley, MS, RHIA, vice president of client services for patient access solutions at health care software provider QuadraMed, subscribes to a model that entails finding the records involved in any duplication. In a duplicate pair, one record is designated a “survivor” while the other is “retired” and considered to be a duplicate for the purposes of calculating the rate. But she adds that some calculation methods define duplicate as the total number of records involved in the duplication no matter whether a record is deemed an original or a duplicate. Lynch points out there could be scenarios that raise the question of how to count an original record if it has multiple duplicates. Should it be counted once or twice if it has two duplicates? He says using a Six Sigma methodological approach to calculating the rate could bring some clarity to the process and also help measure a broader definition of data integrity. Seams believes the Six Sigma method provides a “truer look” at the number of lines of data and the percentage of data contained within an MPI that needs to be examined. That could be changing, though, Wheatley says, since health care organizations—particularly larger ones—are looking more closely at their duplication rates when they perform meaningful use attestations, connect to health information exchanges, or adopt new clinical systems. There are other reasons facilities should have a firm handle on duplication rates. Because health care organizations invest heavily in health information systems, they want to be able to measure their return on investment, says Dan Cidon, chief technology officer for NextGate, a provider of enterprise identity management solutions. “You want to come up with a meaningful metric to show how the data has improved over time,” he notes. An overabundance of duplicate records can have serious financial implications. Cidon says studies have shown that the cost to an organization can approach $20 per duplicate record because of the administrative burden it represents. Wheatley says one client conducted a software implementation cost justification exercise and found that it spent $250,000 annually on duplicate corrections. “We tell our clients that depending on what we factor into the cost that it may be as little as $5 to $10 per duplicate if you’re just factoring in the clerical time [involved] and as expensive as thousands of dollars for a duplicate clinical record that has an adverse impact,” she says. The rate also tells the provider the extent to which it has a data quality problem and can help it determine what kind of action plan it needs to institute. “It should tell an organization how much in the way of resources it needs to spend on its MPI and duplications,” Wiedemann says. If an organization knows the magnitude of the problem, she adds, it can determine not only that some sort of intervention is needed, but it also can prioritize a response so that it can quickly resolve certain problems such as missing data elements. How often should duplication rates be calculated? Lynch says there is no concrete industry standard but recommends that it’s performed at least monthly depending on the controls implemented at the patient registration level. “If you have really good controls in place and you’re not creating a lot of duplicates, then you need to do it less frequently than those facilities that don’t have such good controls in place,” he explains. At the executive level, Cidon says administrators want to see duplicate rate information on a quarterly basis to get a handle on the data quality in the MPI. As a result, they can determine whether their information management efforts are achieving the desired return on investment. While duplicate records within a master patient index can have significant consequences for a health care organization, the impact on individual patients can be equally, if not more, severe. Susan Bailey, RHIT, an HIM supervisor at a hospital in the western United States, can speak on the topic both as a provider and a consumer. She has been the victim of patient misidentification four times over the past 10 years. Most of the incidents were fairly minor in nature, such as receiving an explanation of benefits notification for a chiropractic visit that never occurred. But one mix-up involved a CT examination that she didn’t undergo for a chronic condition she doesn’t have showing up in her medical record. Not only was the information incorrect, it led Bailey to contemplate what might happen if she ended up in an emergency department and received medication for a condition she doesn’t have. “It’s kind of scary,” she says. Bailey speculates that each of the problems occurred because of mistakes made during patient registration. That’s no surprise—ask HIM professionals about how most duplicate records are created, and they’ll start with problems associated with patient names.